Quebec Debates Kickoff Fall Election Season-Time for Renewal ! What would BC look like if Gordon Campbell had been limited to two terms? Elections are always a time of renewal. The electorate whether its National, International,Provincial,Municipal or just at the riding or board level get a chance to review and evaluate the people carrying out the jobs they were elected to do. This fall there are by-elections in Ontario ( which could lead to a provincial election depending upon the results) a provincial election in Quebec, several Annual General meetings and of course the U.S. Presidential election. When I hear parties that get hammered at the ballot box say it’s time to take a deep look at ourselves and commit to a renewal program I just shake my head. If there were term limits right down to the volunteer level, renewal would be a constant process. As a rule there isn’t and as a consequence the same people tend to get elected to the positions over an over again. Not only does this lead to what I call empire building and other assorted sleazy BS, but it stifles growth because people who would like to get involved don’t because they think their chances of getting elected are slim. This is one of the things I like about U.S. politics who have term limits right up to the President. From a voters point of view if you don’t get what you were promised short of recall, it provides at least a window of relief. I have been an EDA president Federally with the Conservative Party of Canada and I left after two years because I think, although they have 3 year terms, two years was plenty. Provincially same thing,although there are no term limits, I announced to the board in June I was not standing for a directors position and that I would serve out my term and get involved in other areas. People going to an Annual General Meeting have the best chance to start the renewal process. instead of simply voting for the same people over and over listen to what the new folks have to say. Ask those that run year after year what exactly they have done to make the process better. This is your chance to hold those you voted for previously accountable. It is you chance to renew and revitalize your party from the ground up! Imagine if you will that Gordon Campbell had been limited to two terms. How different might the last election have been under a new BC Liberal leader.Imagine again in 2009, new people in both the NDP and the BC Liberals running to be MLAs instead of the same old. What would the political landscape in BC look-like today if that had taken place? 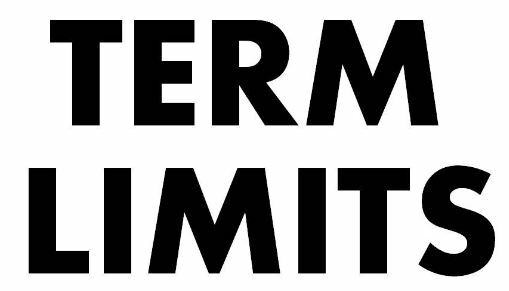 What do you think, would term limits be worth looking at in Canada? Posted on August 20, 2012 Categories Canadian politics, municipal, national, provincialTags by-elections, elections, Term Limits, US Election7 Comments on Quebec Debates Kickoff Fall Election Season-Time for Renewal ! Romney Adds Ryan: Now the U.S. Election Gets Interesting! A fiscal Conservative: Now things will get interesting! Mitt Romney adds running mate Paul Ryan and now the US Presidential race gets interesting. It gets interesting because not only do we finally have a real Conservative to choose from ( Romney and Obama are both Liberals) but also because Romney and Ryan are polar opposites. Moments ago Romney after hearing Ryan”s plan to cut medicare, he said that would never happen as long as it was his campaign. Romney of course is campaigning on restoring cuts that Obama made to seniors Medicare. Ryan’s plan would not restore them. Ryan has been blunt and to the point on what cuts and what direction the country would have to go to clean up its fiscal house. The discussions over the next few months will make the run up to the US election very interesting. Our neighbors to the south are going to have a discussion they have been putting off for some time. What path do you think they should take: Stimulus or Cut? Romney or Ryan? Will the two of them last through the election or will there be a dust-up? Posted on August 15, 2012 Categories International Politics, U.S.PoliticsTags Medicare, Obama, Romeny, Ryan, US ElectionLeave a comment on Romney Adds Ryan: Now the U.S. Election Gets Interesting!